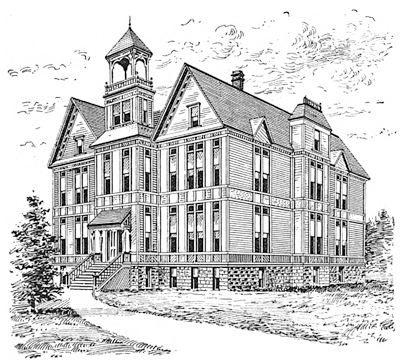 The Liberal University of Oregon project grew out of research into and about the unique history of the Silverton Country, which includes the original LUO, the first non-religious affiliated center of higher learning West of the Mississippi, founded in Silverton, Oregon in the 1890s. This moniker seemed a fitting handle to attach to not just stories about the LUO itself, but other aspects of local history as well, social and natural. While the term "liberal" may be a put-off to some, we feel that the concept helps highlight the history of our community, warts and all. A "liberal education" of local history if you will! And how we can apply those lessons to our future. It will go far to understanding ourselves and perhaps help clear up past misconceptions. As with our predecessors from over a century ago, we strive to support the universal religion of Liberty, Science and Humanity; shining our new "Torch of Reason" on the past, present and future of the Coolest Small Town on the Planet!